Lisbon is a city of diverse atmospheres where the stirring of the senses is a constant. Between the breezes blowing from the hills and the sea, a ceaseless mutation of emotions envelop your face while you relish its cosmopolitan and geographical beauty permeated with centuries of history. From the river, these emotions reach an unexpected dimension which takes you to the beginnings of Lisbon, the old way of building visible in the amphitheater of hills, the appeal of the voyages of discoveries, sailing away towards the sea. 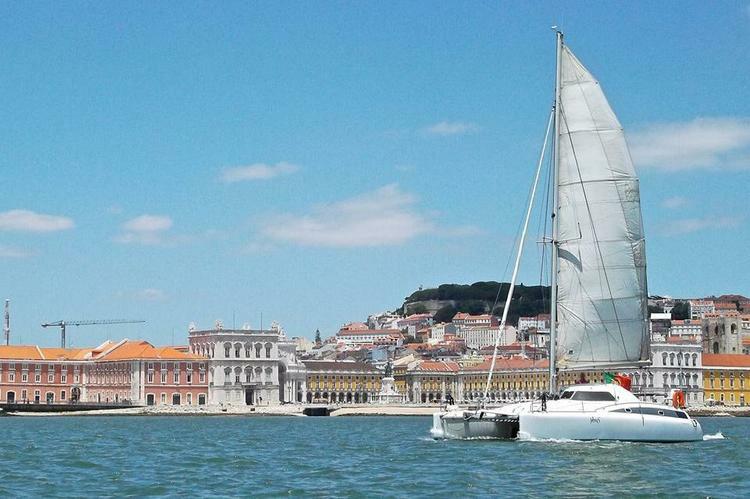 Enjoy an excellent spacious and stable platform aboard the Catamaran VÉNUS, in a nice tour between Belém and Terreiro do Paço square, wrapped in the salty air and sea mists that bathe Lisbon. Celebrate with our welcoming cocktail. This is a whole yacht renting and includes the sailing, meals (lunch day 1, breakfast and lunch day 2) mooring and overnight (in the yacht) in Sesimbra Marina. Fruit, water and snacks available at all time during the day. Bed, shower linen and insurance included. 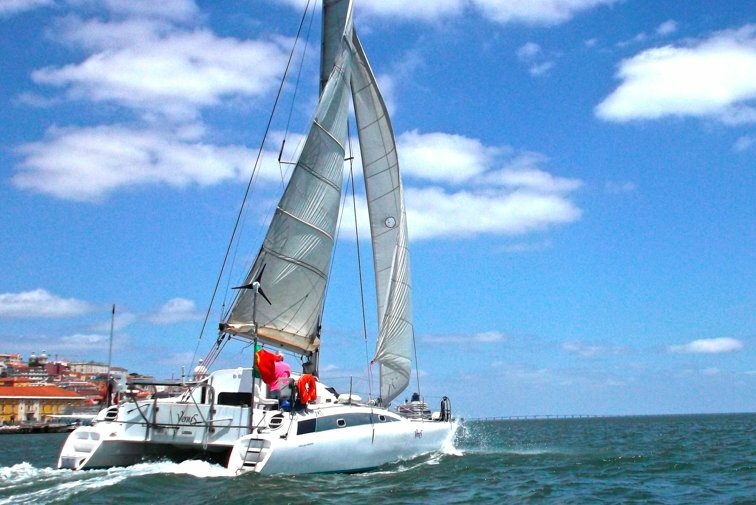 Celebrate your party aboard the Catamaran Venus and enjoy a exceptional ambiance. Programs for everybody. Contact us and let us know how can we help you. 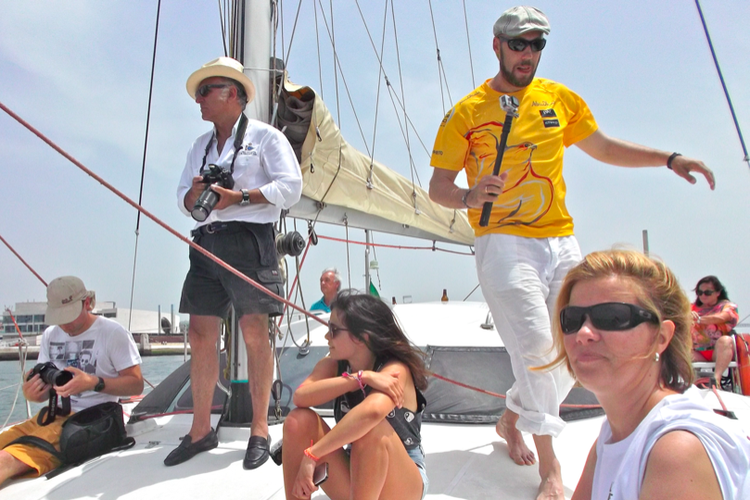 4 hours tours, leaving from the Doca de Santo Amaro and offer of a champagne flute. 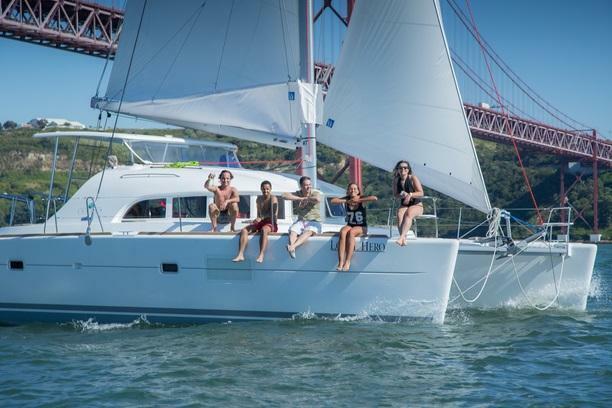 Lisbon has excellent Autumn/Winter days, offering mild temperatures that invite you to experience life within the embrace of the Tagus estuary – “Mar da Palha”, “Baía dos Golfinhos”, “Baía do Seixal”, etc.. Gather your friends and come spend a day on the Venus, where you can cook – a Chili, for example – and live unique moments. Our welcoming present to you, two bottles of wine. You may also cook your own special treat on board, you only have to bring the ingredients with you – Offer of 2 bottles of wine. Prices include skipper’s fee, insurance, fuel and taxes. Departures subject to good weather conditions. Feel the VENUS as a beach/platform for your sunbathing and a dip in the sea, anchoring far away from the crowd and the confusion. You may also choose to go on sailing, taking a dip when and where you feel like it. Red Herons, Flamingos, Avocets, Fish-hawks. These are some examples of birds that you can see in the sanctuary of the Tagus estuary, upstream of the Vasco da Gama bridge. 4 hours circuit with departure from the Expo Marina with complimentary brunch on board. A group of four work colleagues rented the boat for a half day. It was a great day out and I’d highly recommend it. The owner and his colleague were very very friendly and made sure we were relaxed and comfortable. Unexpectedly, they set up a table for us at the back of the boat and prepared the lunch we had brought with us to eat. We travelled to a quiet beach and docked about 100m out from the shore and jumped into the sea for about 45 mins. We then travelled back to Lisbon and then to the docks. I’d highly recommend these guys as they were friendly and professional and just wanted us to have a good time. Great experience, maybe the best in Lisbon! Luis was super helpfull and nice all day long. Cascais was beautifull and the boat amazing. Strongly reccommended! Can you bring your own food and drinks? Do you offer food and drinks onboard the boat rental? Any additional drinks and food can be provided for an extra cost. Please contact the owner for pricing. What do you include in the boat rental?